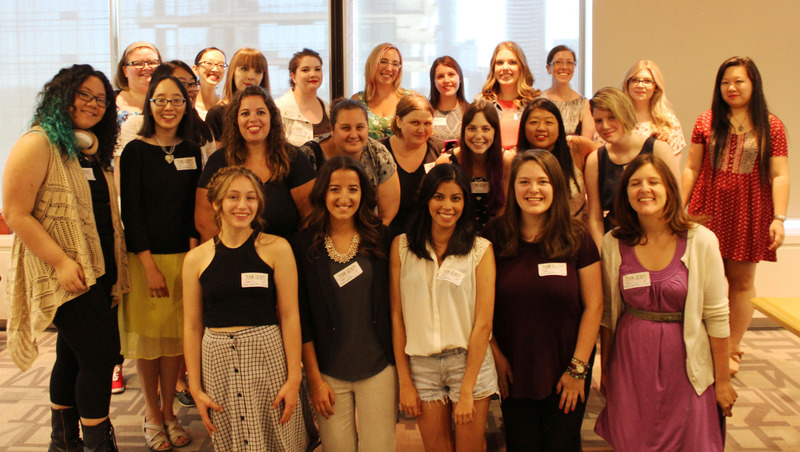 This Sunday, I had the privilege of being invited to Frenzy Presents hosted by HC Frenzy over at Harper Collins Canada in downtown Toronto. 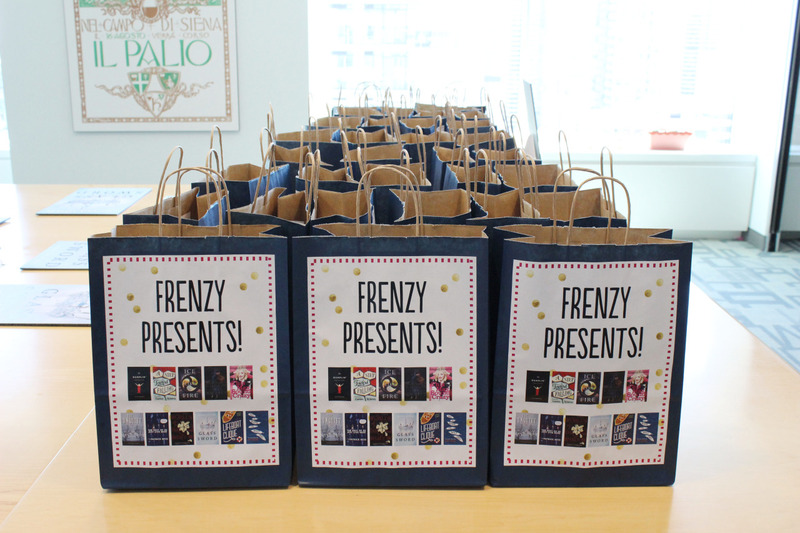 Frenzy Presents is an awesome book blogger event where booknerds can connect and network, swap business cards and twitter handles. 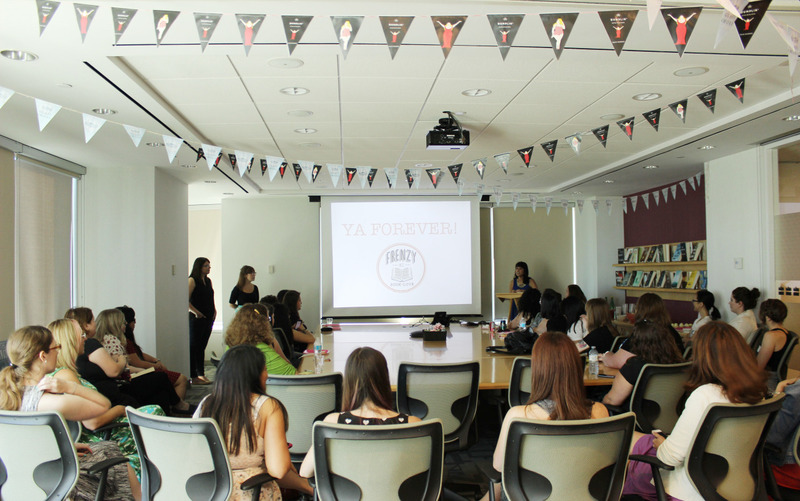 The team at HC presented the Fall/Winter YA releases and let me just say…they look amazing! I am lucky enough to score a ride with my parents to the subway station and embark on my public transit journey to the Harper Collins offices. I dress quite “Amish-ly” (or abnegation-ish) wearing my hair in milkmaid braids atop my head (which warrant countless comments) and a long vintage (Candor-y) skirt. To get some dauntless in there I put on my favourite crop top from Brandy Mellville and some white converse with the laces tied around my ankles. I have no idea where I am going with these Divergent references, someone please stop me. Alright, so I’m a little late…I’m supposed to be in the office at 2pm but it is 2pm right now (and yes I have just gotten off the subway). The station (Yonge) was actually right below the building I need to be but because I am horrid with directions, of course I go outside and into the building across the street. When I finally find the right building I head to the 20th floor only to find two locked glass doors displaying the beautiful offices in which I long to work. I’m standing here outside these glass doors like an orphan in front of a candy store and the glass says to ring for assistance, but dude THERE IS NO BUTTON! I walk down the opposite direction and there is a button – I am finally let in AND I’VE ALREADY MISSED SOME OF THE PRESENTATION AHHH! Everyone is chill though and I spot Caitlin (TheYaBookWormBlogger.com) from across the table. I almost freak out (but keep my cool) because we had been discussing getting together only a day before on the twitter-sphere. I felt like this event was a little “On the down-low” for some strange reason so I didn’t really ask if anyone was going other than Giselle from (BookNerd.ca). They present a ton of awesome books (as seen below ordered from most excited to least) and we all laugh during their presentations (not at them, I swear). 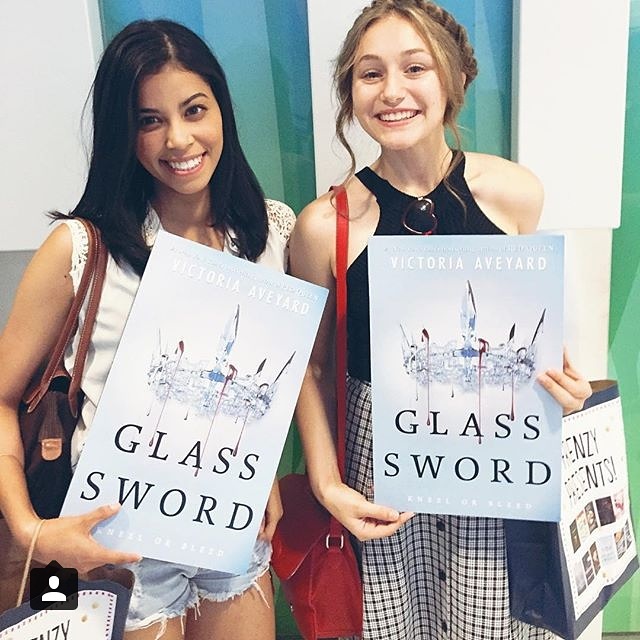 The descriptions cause me to drool over the books that I hope are in those swag bags on the table behind us. I want a donut but no one else is eating so I don’t take one. I’ll wait until later. In case you are wondering, Caitlin is just as awesome and enthusiastic as she is in her videos and 10000 times nicer! Finally (sadly), A group of us decide to grab a Starbucks drink despite our lack of money that we keep telling each other needs to stop being spent on books (THIS IS WHY THE WHOLE STARBUCKS AND CHAPTERS/BARNES+NOBLE COLLAB NEEDS TO NOT). We promise keep in touch and get together again before everyone will have to head off to school in other places. We also decide on a read a long to take place before A Madness So Discreet hits shelves this October. After riding the subway the rest of the way with Shelly I am lost. The bus I am supposed to take only operates Monday-Friday…What???? I take a different bus and finally get home (by now it is pretty late), eat a burrito and get some reading and editing done. I had started one of the ARC’s that was in my swag bag (A Step Toward Falling) and totally gave up on the book I brought with me (Eon) on the bus home and now I shall continue it and post all the pictures from today and post my document my life video. I had given my camera to my dad in the car earlier, too lazy to carry it around downtown and I can’t find it anywhere! (my parents are gone for the night). Finally at 12:59 my brother shows me that my camera is in fact right in front of my face. I proceed to film my video which you can watch below – but by now it is almost 1:30am and I am dead to the world! BUT I MUST SHOW YOU GUYS WHAT I GOT AND MY HAIR IS ALREADY DONE. Then I went to sleep – after my mom yelled at me to stop being annoying and talking about books at 2am. Next Post30 Booknerd Gift ideas!